And the piston with new seals. 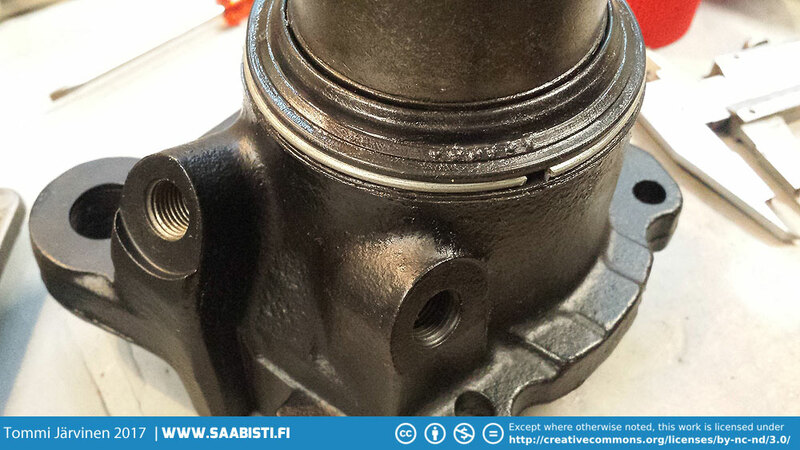 Previous imageA generous amount of brake grease is recommended with installing the new seals. Next imageAnd the caliper frames after some paint. These would have been zinc plated and yellow passivated originally, but it doesn't really last long. So I decided to paint them.